Click the Menu icon, click Settings, and then click Integration. 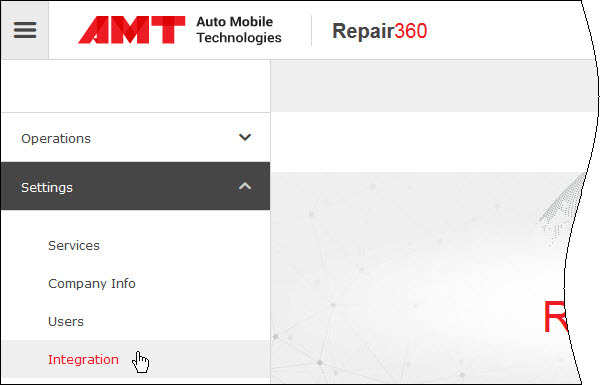 Note The Integration page is not available in the Repair360 Free edition. On the Integration page, click the Turn On button. Important! QuickBooks Online integration is charged separately at a cost specified in the Price column. Click OK in the alert message, and then please wait for us to activate the integration on our side and send you a notification. ...and when we activate the integration, it's status automatically changes from Pending to ON. Tip Once the integration is activated, you can start exporting invoices to QuickBooks online; however, you need to log out and then log in to your Back Office application again to initialize the feature.